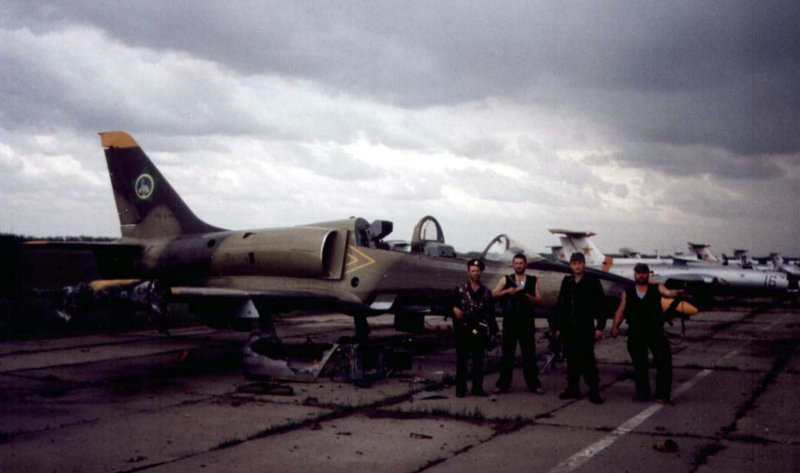 Chechen Air Force in 1994. The Russian decision to destroy the Chechen Air Force in December 1994 was among the most successful episodes of the first Chechen War. The operation to destroy Chechnya’s air forces in December 1994 was one of the most successful episodes of the First Chechen War. In spring that year, Dzhokhar Dudayev head of the Chechen separatists, began to prepare for war. These preparations included a detailed plan of action for the Chechen armed forces during combat operations. Dudayev, as a military pilot, knew that a special role needed to be given to the Air Force. Air strikes against enemy forces always cause serious damage to their physical and psychological condition. By September 1994, Dudayev was ready to implement the “Lasso” Plan in which he chalked out a detailed distribution of his combat aircraft, and gave orders to all units. By the end of September, they were all in full combat readiness. Fighting on the Russian side were 515 aerial combat vehicles. By Decree of the Minister of Defence, a special air combat group was formed, consisting of bombers from the tactical aviation division of the 4th Air Army. The main forces were stationed at airfields in Beslan and Mozdok, hundreds of kilometers away from Grozny. The composition of the air forces consisted mostly of attack aircraft - the Su-25, bombers - the Su-24, long-range supersonic bombers - the Tu-22 and fighter jets - the Mig-29, and others. The Chechen side had about 250 aerial combat vehicles. Among them were the combat trainers L-29 (Dolphins) and the L-39 (Albatross), MiG-15 and MiG-17 fighter jets, and Mi-8 multirole helicopters, and other weapons. The Dolphins and Albatrosses are capable of carrying NURS missiles systems and 100-kilogram bombs. Russian troops began the operation with intelligence activities. The first flights were carried out by the Su-24 reconnaissance aircraft. The first air strikes followed, on two airfields – Khankala and Kalynovska – inflicted by the Su-25 aircraft, on December 1, 1994. Despite the surprise attack, the Chechens did not lose a single aircraft. The Grozny-North airfield was attacked in the afternoon, and about a dozen aircraft were destroyed. After that long-range aircraft joined the battle. This was a successful mass attack. The Russian Air Force made about 200 sorties and destroyed almost the entire air squadron of Dudayev. They also bombed runways, the antenna field, and a munitions warehouse. As a result of this operation, no aircraft in Dudayev’s army was ever able to fly. Alla Dudayev later testified that only one old AN-2 (popularly nicknamed “Cropduster”) was able to take. This was a desperate attempt by the Chechens to pose at least some resistance to the Russian air fleet. This AN-2 was immediately shot down, while still on take-off. Despite the well thought out “Lasso” Plan, Dudayev’s air army was completely unprepared for the air strikes launched by the Russian Federation.